Maui Island Decorative Throw Pillow 17 x 17. 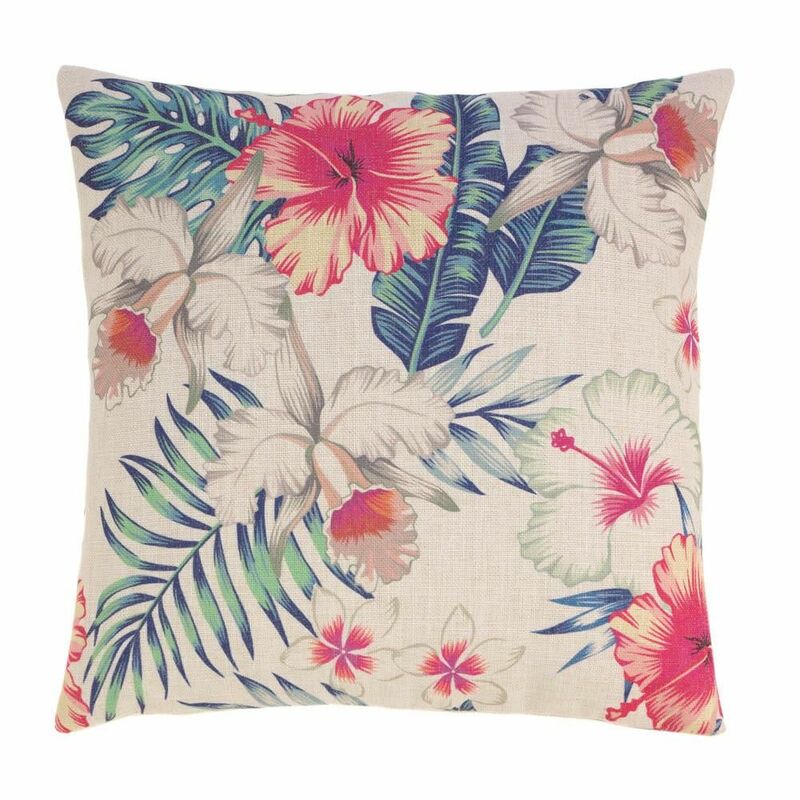 Make your home feel like paradise with our Maui Island pillow. This tropical hibiscus flower and palm fronds print casts a retro feel for today's living. Coral and blue/green tones on an ivory background, create a calming effect for bedroom, living room or patio. Zippered cover for easy removal and cleaning. Machine wash cold. Do not bleach. Do not tumble dry. Iron low heat.